Traditional liberal democratic states across the world are concerned about the issue of political polarization. At the same time, the media, one of the major democratic institute, is also facing new challenges. Trust of towards traditional media, particularly for some specific social groups, is defined more by the media outlet’s political sympathies or ideological perspective than by professionalism and objective reporting. Political polarization is also a challenge for Georgian media outlets. It particularly becomes problematic during politically important events, for instance during election cycles. 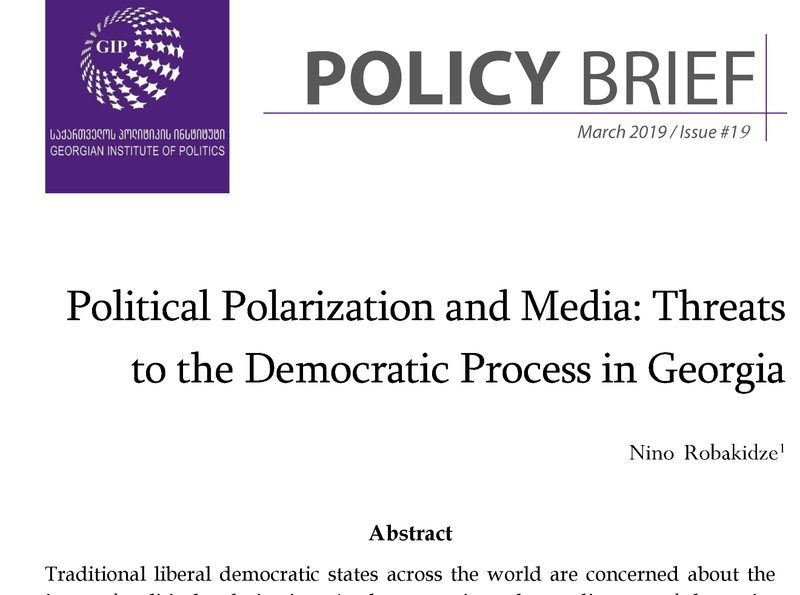 Some argue that a polarized media environment is not a real problem if the media environment in the country, in general, is pluralistic and voters have access to different media outlets. Is the fragmentized Georgian media environment a threat in itself and to what extent will media outlets be able to fulfill one of the major functions of journalism – public forum function – and prepare citizens for informed political decisions? Nino Robakidze – Media researcher, SAFE Initiative Eurasia Center Manager, IREX. * The author is grateful to Mariam Grigalashvili for her contribution to research for the paper.